The Process Wizard allows users to easily define and tailor each step of a process to match specific needs, including adding custom fields to each step, through a simple, graphical wizard. Predefined process flows are then saved to a gallery for use and reuse at the group/project level or item level. Processes can range from simple review and approval, to deep, multi-stage processes. Tailored Processes can be applied to Groups (Projects) and Items anywhere within your Coras Workplace, and even applied to existing Groups or Items, providing optimal flexibility. 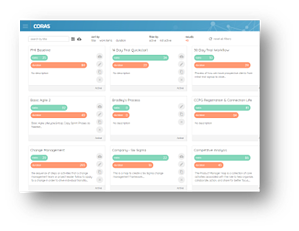 Custom Fields – Stand along Items or Group level items can be created or modified to include custom fields to capture the needed information to effectively manage your work, transforming beyond typical task management to rich, work management. Choose from a variety of types, including: text, number, date, comment, or choice. Item Types – Items with custom fields can be labeled as “types,” making it easier for users to more readily identify the type of work supported by the item. Item types can be applied as default, so when new items are created the correct fields are presented to the user for ease of use and data integrity. Save to Gallery – Existing groups, or select “legs” (e.g. series of sub-items) can be saved to the Map Gallery to reuse or re-purpose. This is not only a tremendous time saver, but a means for organization to more effectively implement best practices, continual process improvement, and repeat success. 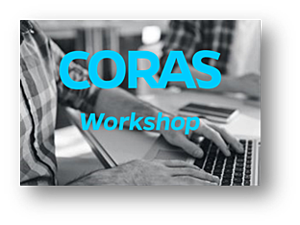 Please join us at CORAS Headquarters | 7918 Jones Branch Drive, Suite 800, McLean, VA 22102 for our workshop featuring hands on (and lap tops) lessons in the fundamentals of business agility, how it delivers competitive advantage, and key practices to accelerate your team's power for innovation. In just about every board room, senior leaders keep a pulse on the business through a set of visual dashboards. These dashboards are typically created through aggregating data from various systems and doing some “analysis” on the data and matching it with a visualization. This allows everyone to see where things are, and the trends over time. All of this is good, assuming that the data is clean, kept up to date, and consistent across the various data sources. The challenge is that this only addresses a part of the need that many leaders have. It doesn’t give them the ability to “ask questions” or to look at multiple scenarios and how different decisions would result in different outcomes. To do this they must ask the “data guy/gal” to go and crunch numbers and give them answers; which takes time of course, and often the need for the request has already passed by the time they get the answer. This is no surprise, because with current practices, there is a lot of back and forth between decision maker and the data gatherers to get the right information. 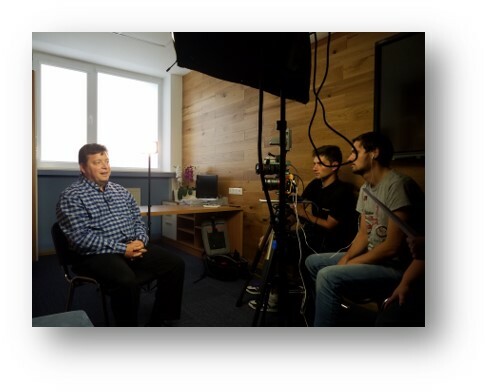 Enter CORAS' concept of moving from a simple BI Dashboard to a Decision Support board. The goal with a Decision Support approach is to paint a picture that leaders understand because it is specific to their business and that will allow the leaders to turn knobs and pull levers themselves to get answers. Working with a DoD customer we learned that they often have to make tradeoff decisions as to how many of each type of system they could purchase based on budget. What if they could lean on the contractor to get a better price? What if they bought less or more of a certain item? In the DoD, maybe they could buy less tanks and planes and add a new ship? By being able to simply “ask” with the click of a button to add, subtract, adjust discounts, etc. they can get the answers immediately. They also can try several different scenarios and look at the results. Each scenario can be saved to compare their different choices. The result, they know they are making the right call based on all available options. Now this is the definition of agile decision making! Videos- Watch the complete walk-through in under 10 minutes, or review shorter overview videos that corresponding lessons. Lessons- A complete companion guide, with Quick Lessons providing descriptions, definitions, and relevance to the core features. Exercises– Guide step-by-step instructions to help you go hands-on. 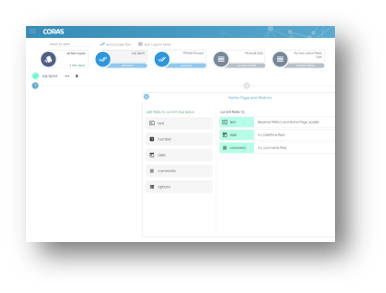 In addition to the Quick Start, users always have the option to reach out directly to CORAS via the built-in chat, or schedule a complementary walk-thru session or demo of our enterprise features with a Customer Success Representative. This applies to expired trial users too. If you would like to experience the new Quick Start, just send a message to info@CORAS.com and we are happy to extend your trial. CORAS has enhanced its powerful map capabilities so that users can not only export and import mind maps, but share them across workplaces. 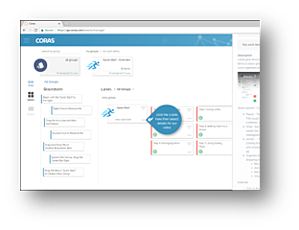 An integral part of CORAS’ business agility solution, mind maps provide the ability to repeat, reuse, and re-purpose groups of work items to accelerate start times, reinforce standards and best practices, and overall efficiency. Users have the flexibility to build their own or use any of the 100+ maps from CORAS templates (for common processes, projects, campaigns, standards, etc.) to start implementing powerful project management techniques. Bring significant value to individual and team projects with graphics that facilitate organization and planning, increase group participation, accountability, tasking and collective understanding. With the import/export feature, maps can be shared with external parties such as partners, vendors, customers, conference attendees, or anyone with their own CORAS account. Our Customer Success Team mission is to help users find or define the features that are right for their organization. We offer complimentary sessions, which usually take less than 30 minutes, to guide them on the process of accessing, building, and sharing maps; either over the phone or through one-on-one sit-down session.